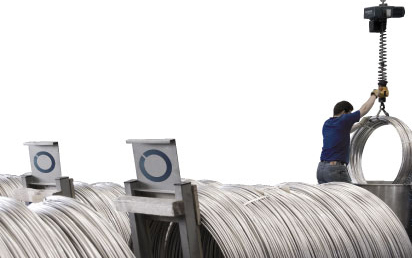 MACE offers as standard product tube coils of 200-500 meter length. On customer’s request, we can make single coils of 750-1500 meter length in continuous production without any welding point. 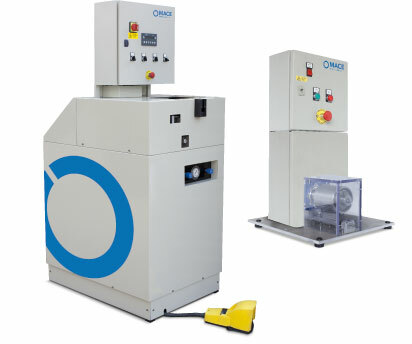 • Machine stops: 66% less machine stops regarding other types of coils. 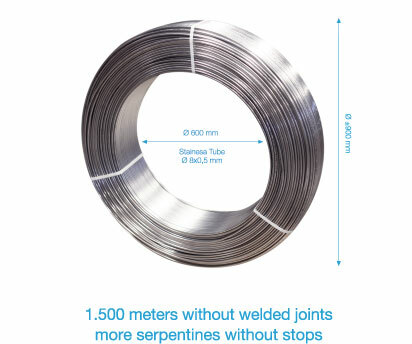 • Losses of coil: 10% less losses in the process of coil production. With these quantities per pallet, our customers can have more space in their stores, reducing handling costs and diminishing the time their workers need to transport the tube from the warehouse to the coil production place. In addition, our packaging design allows coils to remain fully protected during handling and transportation, thus avoiding any possible impact that could damage the tube. Moreover the process of extraction of the goods from the pallet becomes more agile for those who have to handle the coiled tube. Our constant and persistent improvement regarding productivity, allows us to guarantee tube availability whenever our customers require, whether they have provided us with a provisioning schedule or they request it on a specific date. For MACE is very important to meet the agreed deadlines. Our highly qualified staff in tube production provides us with the ability to react quickly whenever we have a large concentration of tube demands. Experience, flexibility and persistence are the main elements of the services that MACE offers to its clients. Our aim is to keep our customers satisfied with our products and services. Realization of all kinds of coils on customer’s request. Ability and engineering to make all kinds of tools to facilitate any work with tube and mainly the coil finishes. Regular collaboration with several engineering studies and universities to help them to accomplish their projects by offering our staff and machinery.